1. You can simply practice Compass using the illustration above. 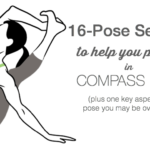 This may sound judgmental, but images of Beauty and the Beast come to mind every time I practice Compass Pose. The pose can strike a rich, regal tone of openness, agility, and poise. Or, it can look and feel like a tangled, unfinished mess. For the record, I usually feel like the latter. The inherent difficulty of this pose is that it simultaneously challenges your hamstrings, adductors, outer-hips and side body. But, this is also the beauty and the allure of the pose. 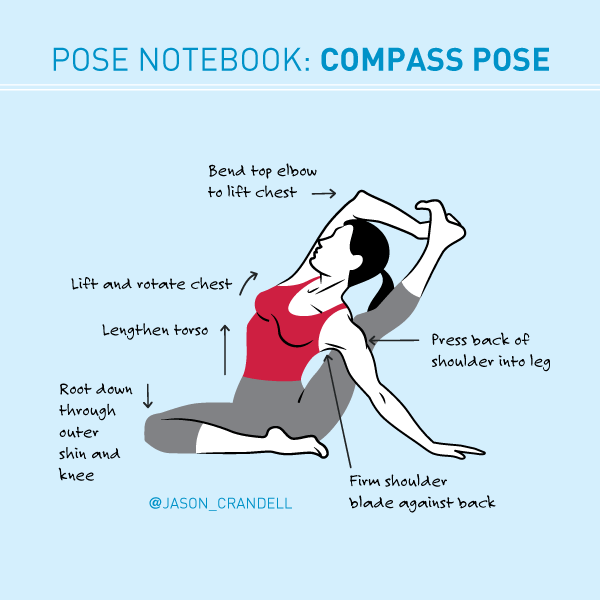 Compass gives you one posture to open up some of the deepest, tightest layers of your body. 1. You can simply practice Handstand using the illustration above. 3. Or you can geek out on the sequencing and anatomy details, by skipping down to Part II. 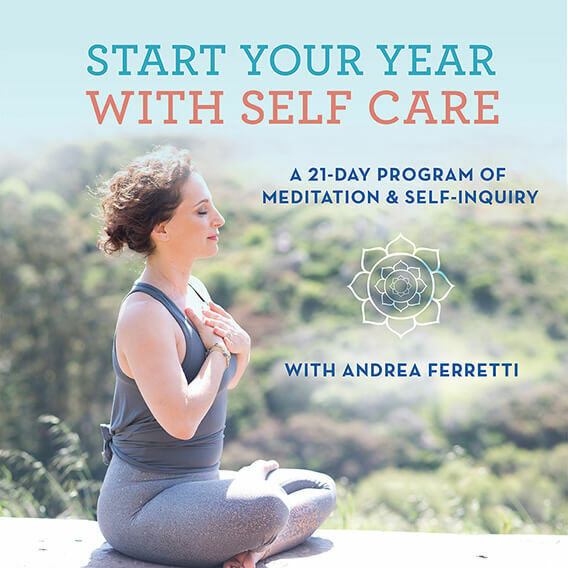 If you want to learn more, join me live at my 500-hour Yoga Teacher Training Certification Program or join me online for my Online Yoga Teacher Training Courses in Anatomy or Sequencing. Handstand is the darling of the social media world for good reason. The posture conveys strength, focus, and all-around physical aptitude. It also makes for a good photo opp in a bustling city center, or on a pristine beach, or anywhere else you want to capture a “yoga moment” and ensure your participation in today’s yoga zeitgeist. Of course, Handstand is not just a photo opp or a boastful trend. It’s a time-honored, established inversion that’s taught in multiple lineages. Whether you’re proficient in this pose or just starting your inversion journey, Handstand requires 100 percent of your attention while you’re practicing it. You may find that your attention wanders to your “to do” list in Savsasana or sometimes you’re not fully focused in Warrior II. But, have you ever thought about what kind of sandwich you’re going to have for lunch while working on Handstand? No, you haven’t. You’re fully present and engaged with the present moment when you’re practicing Handstand. That’s yoga. If you’re a seasoned practitioner and Handstand is a regular part of your practice, you will need very little warm-up. In fact, Handstand is a great first or second pose in a sequence for students who are proficient in this posture. If you’re a little newer to this posture or need a slower build-up, you can prepare for Handstand with shoulder openers that open your upper back and spread your shoulder blades like Garudasana and Cat Pose. Shoulder openers that stretch your triceps and lats, such as Half-Dog (also called “Puppy Pose”) and Gomukhasana are great. Since Navasana, Ardha Navasana, and Forearm Plank engage your core, they are also good preparations for Handstand. Practitioners need to learn this pose at the wall, often with the help of a skilled teacher, long before they indulge their “press into Handstand in the middle of the room” fantasy. I’m going to write an article on pressing into Handstand at a later date, but here I will assume that you’re working at the wall. 1. Set up in Downward Facing Dog with your hands six inches from a wall. 2. Step one foot half way to your hands and bend your knee. Choose whichever leg feels the most natural. 3. Bring your shoulders forward so that they’re direclty abover your wrists. Root down through the base of each finger and thumb, straighten your elbows, and slightly externally rotate your upper arms. 4. Look at the floor in between your hands. Take a slow, deep breath. Don’t freak out. 5. As you exhale, bend the knee that you stepped forward more deeply and strongly push the floor away. As this leg jumps, simultaneously swing the other leg toward the wall. Keep the knee of your “swinging” leg straight. 6. As one leg swings toward the wall and the other leg jumps, draw your navel toward your spine to recruit your core muscles and create greater lift. 7. You need to use enough strength and momentum to get your hips over your shoulders. Once your hips are above your shoulders, your “swinging” leg will make it to the wall and stay there. At this point, you can bring your second leg (your “jumping” leg to the wall). 8. Now that you’re in the pose, you can refine it with the instructions on the infographic above! 9. Hold the pose for a few seconds before slowly lowering one of your feet toward the floor. As you lower one leg, the second will follow shortly thereafter. 10. Spend a few moments in Child’s Pose or a standing forward bend. IF I CAN’T DO HANDSTAND YET, WHAT SHOULD I DO INSTEAD? 1. Focus on building shoulder strength and confidence with Dolphin Pose or Half Handstand with your feet on the wall. 3. Repetition is key! It takes practice to get into Handstand. So, one option, is to simply focus on the action of kicking into Handstand without actually getting all the way there. Repeat the process of swinging, kicking, and hopping several times to build your understanding and coordination of this process. WHICH MUSCLES DOES HANDSTAND STRENGTHEN? If you touch someone’s legs in Handstand, you’ll notice that the leg muscles are firm active in this pose. That said, the most notable exertion comes from the inner leg muscles, the adductors. Engaging these muscles helps both legs work together and access your core, which creates better control in the pose. Your quadriceps are also working to lengthen your legs and keep your knees straight. And your hamstrings engage to help your hips extend. Your core’s primary job in Handstand is to keep your pelvis, ribs, and lower spine aligned and prevent hyperextension in your lower back. Specifically: your psoas and illiacus helps your legs stay vertically aligned and your transversus abdominus and obliques help keep your lower back from hyperextending. While your legs, core, and spine work to maintain the position of your entire body, your shoulders and arms have the greatest amount of work in Handstand. Your deltoids have the biggest job since they keep your shoulders flexed. They’re supported by the rotator cuff muscles which help maintain the alignment of the upper arm. Your triceps also have the challenging job of keeping your elbows straight. Your serratus anterior muscles laterally rotate and firm your scapulae against your ribs. Lastly, your forearm and hand muscles work to support balance in the posture. WHICH MUSCLES DOES HANDSTAND STRETCH? Handstand doesn’t particulary stretch the body. Sure, it stretches one’s sense of themselves, one’s confidence and so on. But, as far as the body is concerned, the lats are really the only muscles that stretch in this pose. And, truthfully, they’re only going to stretch if they’re relatively tight–and, even then, it’s mild. 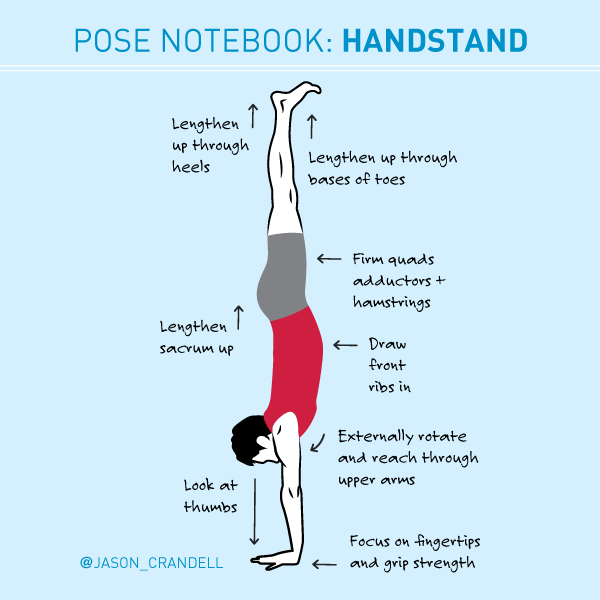 You can find a fully-illustrated, 16-pose sequence for Handstand here. WHERE DO I LEARN MORE ABOUT ANATOMY, SEQUENCING, AND TEACHER TRAINING? 1. You can simply practice Tittibhasana using the illustration above. 3. Or you can geek out on the sequencing and anatomy details for Tittibhasana (Firefly Pose) by skipping down to Part II. The key to doing Tittibhasana is being light, strong (everywhere), flexible (everywhere), balanced—and, if possible—young (twenties would be nice). If this sounds like you, stop reading and go do the pose, OK? 1. Take your feet a little wider than your hips and rotate your feet slightly outward. 2. Forward bend and tuck your shoulders behind your knees. With you hands, hold the back of your ankles. 3. Take a couple of breaths, folding more deeply and easing your shoulders behind your knees. Be mindful of your lower back and sacrum. If they’re uncomfortable with the forward bend, come out of the pose and work on your hamstrings, inner legs, and outer hips in more accomodating postures. 4, Place your hands behind your heels with your fingers pointing forward. Look at your thumbs and make sure they’re not in a crazy position (you’ll know what I mean when you do it). If your hands don’t come all the way to the floor, they may in the next step. If they don’t come to floor in the next step, you can put a wedge or folded mat under the heel of your palm. If you need something higher, it means that your hips aren’t quite ready for this pose—stick to leg-opening postures for now. 5. With your fingers facing forward, bend your knees and your elbows, sitting back so the weight of your pelvis is on your arms. 6. Squeeze your legs against your arms, lift your feet, and straighten your legs. Focus on reaching your legs straight forward while you squeeze the inner legs toward the midline to minimize how wide your legs go. 7. Now that you’re in the pose, work on the key teaching points in the infographic above! 8. If you’ve crashed and burned, get up and give it another go. If the pose feels impossible, content yourself with a few more weeks or months of preparations. 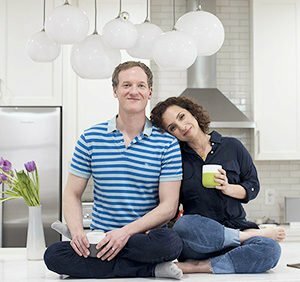 IF I CAN’T DO TITTIBHASANA YET, WHAT SHOULD I DO INSTEAD? If you still need to build strength for the pose, practice a combination of core, shoulder, and arm strengtheners. Be consistent with Paripurna Navasana (Full Boat), Ardha Navasana (Half Boat), Plank, Chaturanga Dandasana (Four-Limbed Staff Pose), and Salabhasana (Locust). If you need more flexibility for Tittibhasana my three favorite preparations are Lizard Lunge, Prasarita Padottanasana (Wide-Legged Standing Forward Bend) and Upavistha Konasana (Wide-legged Seated Forward Bend). Bakasana (Crane) is also a great pose to practice if you’re unable to do Tittibhasana. WHICH MUSCLES DOES TITTIBHASANA STRENGTHEN? All of your abdominal muscles engage to lift your pelvis and support the weight of your center. Most notably, your transverse abdominus draws your navel toward your spine and your rectus abdominus helps to maintain the slight flexion (rounding) of your spine. Your psoas and rectus femoris fire strongly to flex your hips, keep your legs lifted and straighten your legs. One of the most challenging components of Tittibhasana is the dynamics of your inner-legs, or adductor muscles: You have to strongly engage the adductors to keep your legs from sliding down your arms. Ath the same time, the pose requires a deep stretch in these muscles. The rotator cuff muscles which help stabilize your arms. The anterior deltoids and pectoralis which help you lift your body in the pose. The scapular muscles (especially the serratus anterior) which help you broaden your upper back in the pose. Your triceps are working harder than any other muscle group in your arms here. Your forearm muscles also gain strength in this posture. WHICH MUSCLES DOES TITTIBHASANA STRETCH? Tittibhasana stretches all three hamstrings—especially the two medial hamstrings, your semitendinosus and semimebranosus. All of your adductors engage, which enables you to both hug your legs against your arms and straighten your legs. The gracilis and adductor magnus, due to their functional relationship with the hamstrings, get the greatest stretch in this family of muscles. 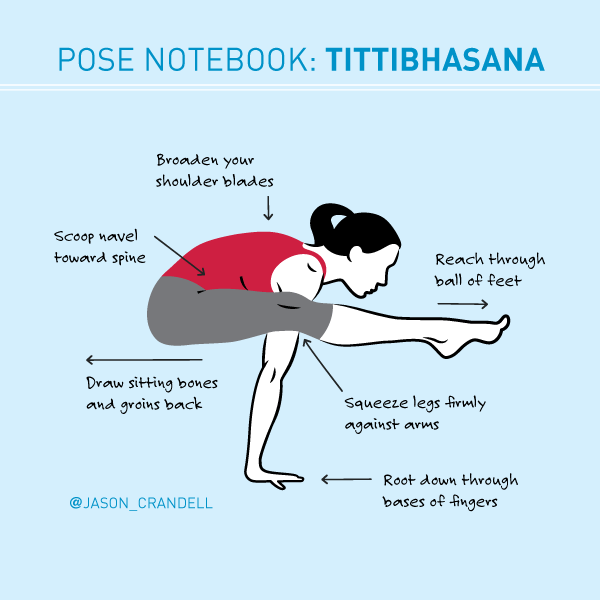 You can find a fully-illustrated, 16-pose sequence for Tittibhasana here.